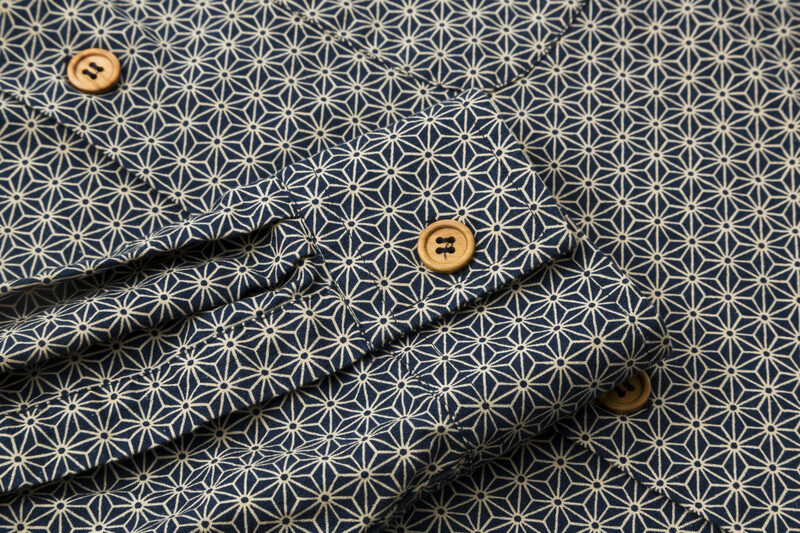 We wanted to make a long sleeved spring/summer shirt with one of our stunning japanese fabrics. 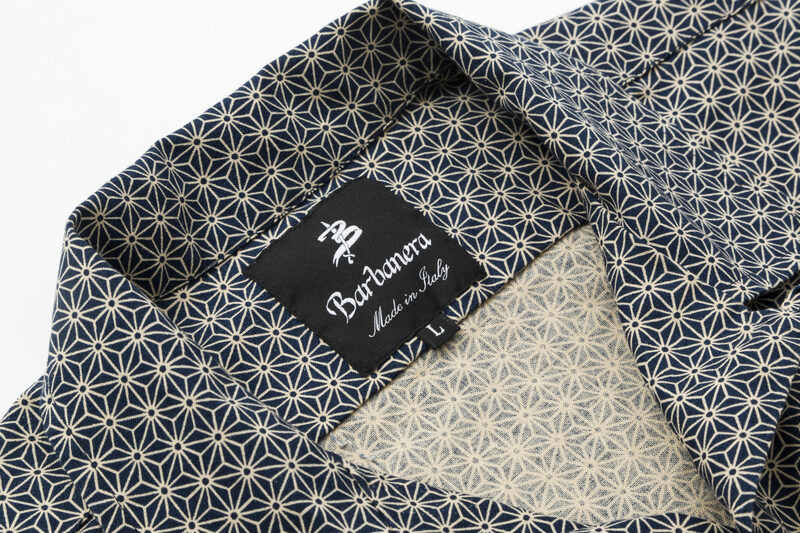 That’s how the new Burt shirt was born. 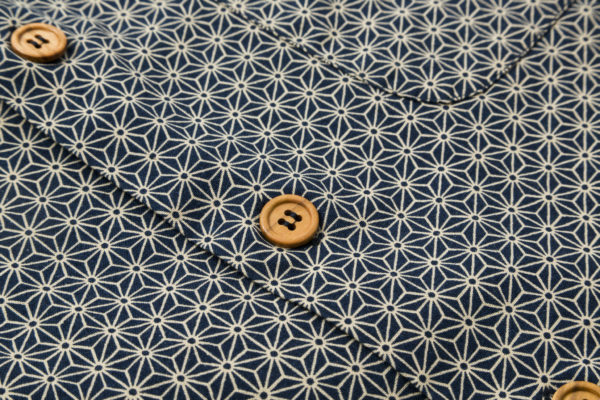 The details (buttons, pocket, stitching etc) are the same of the HST shirt but, since this is not an Hawaiian shirt, we took the fit of the FDP (less boxy) and we adapted it to this new model. 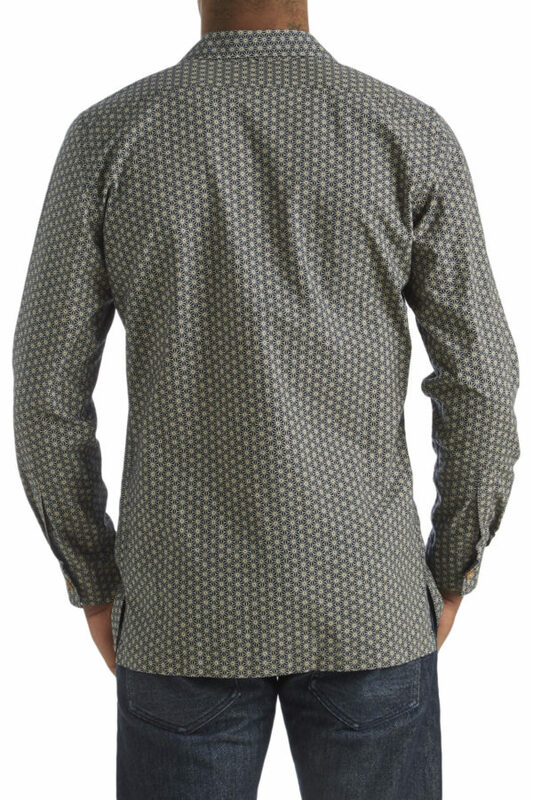 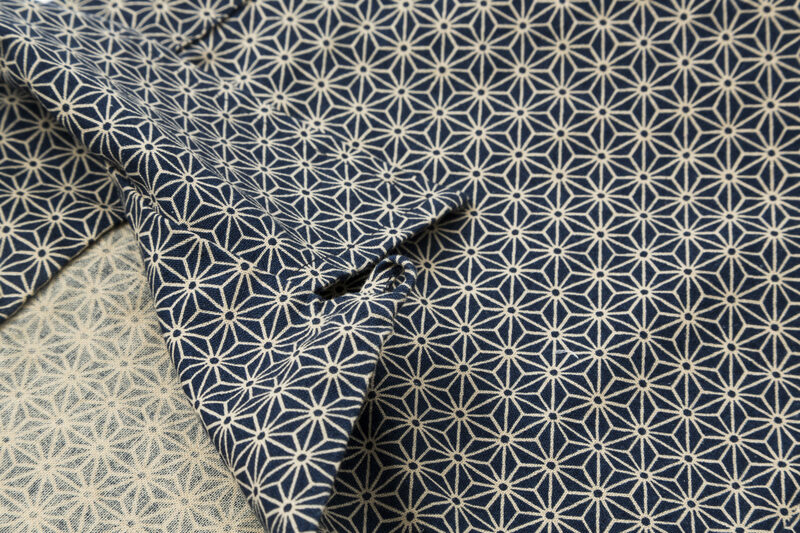 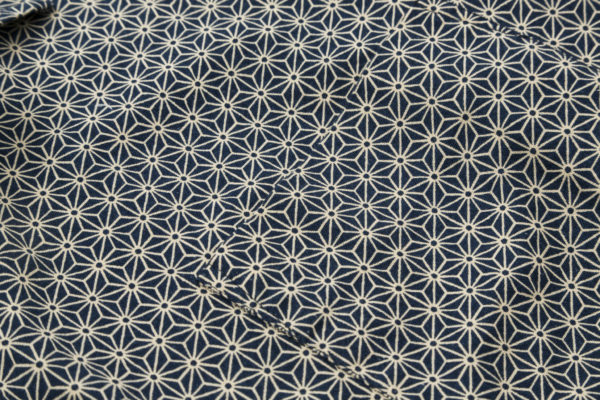 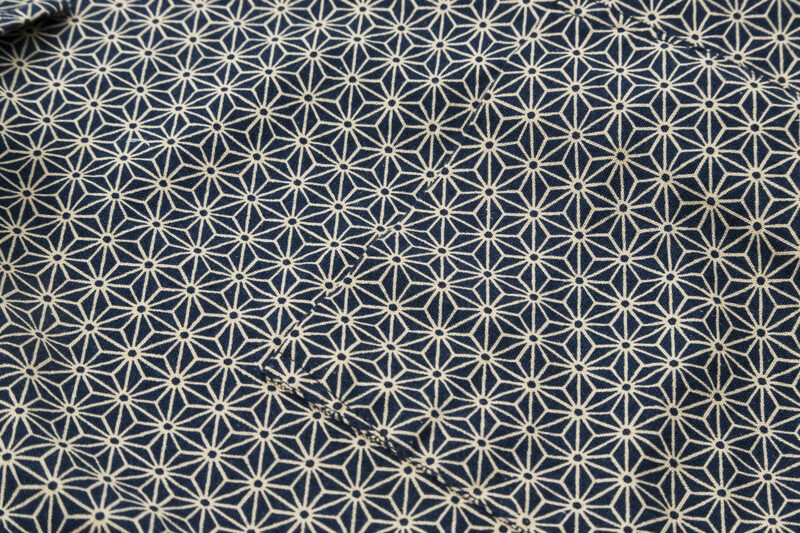 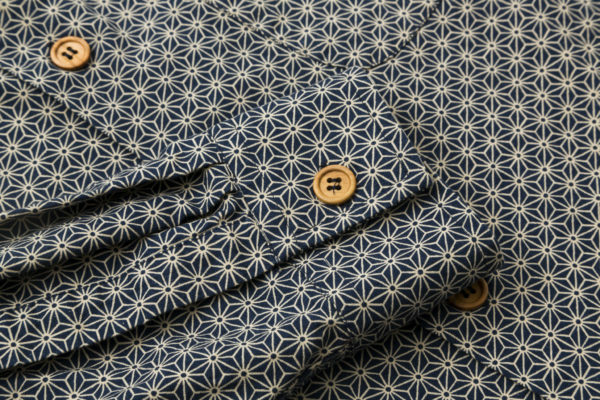 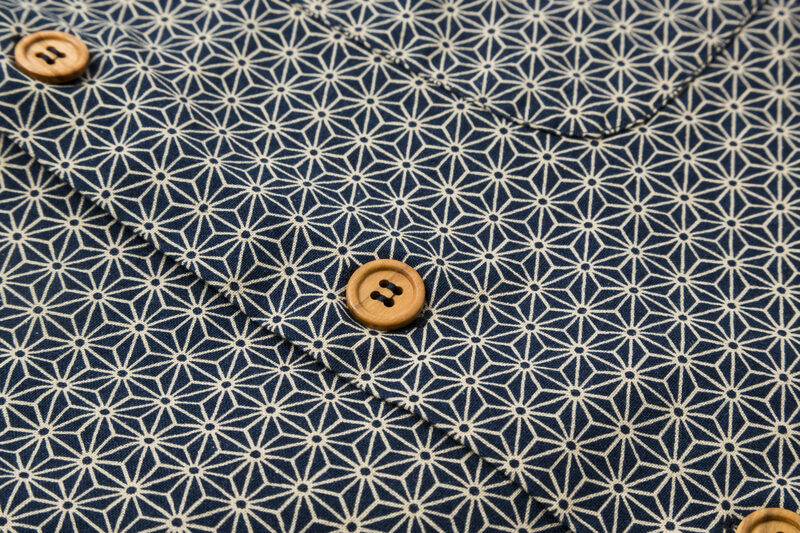 For this shirt we picked up a precious 100% Japanese “geometric” printed cotton fabric. 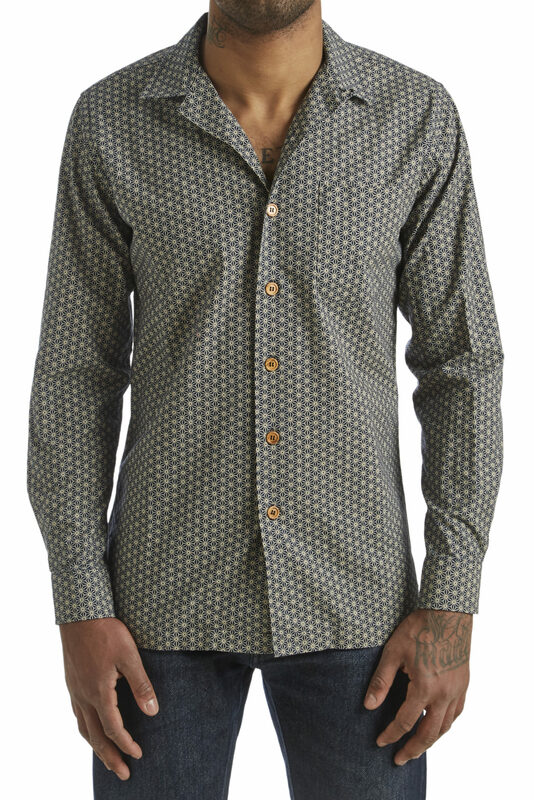 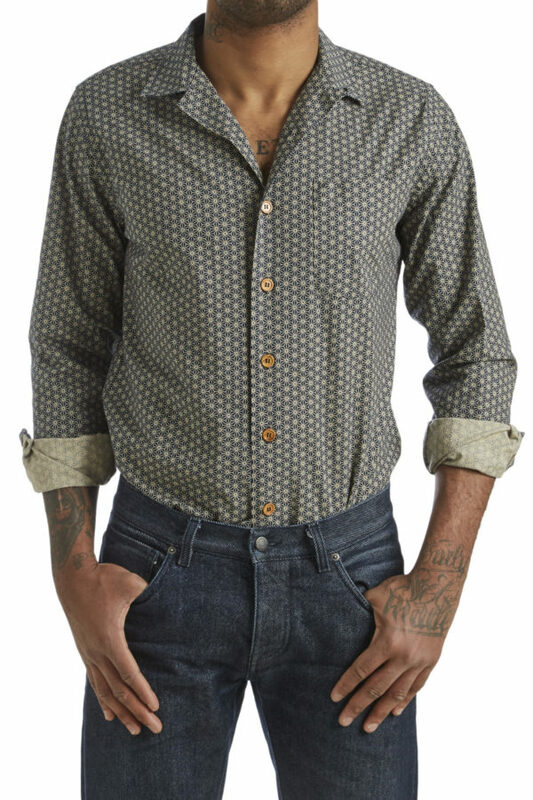 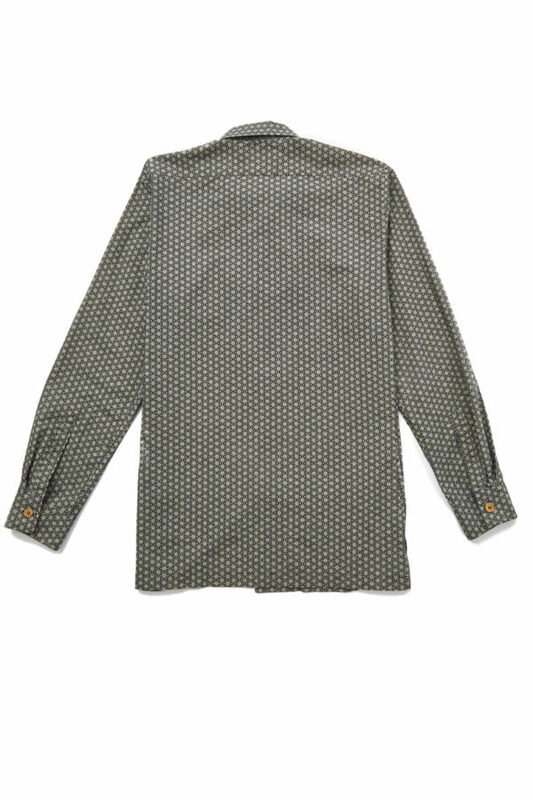 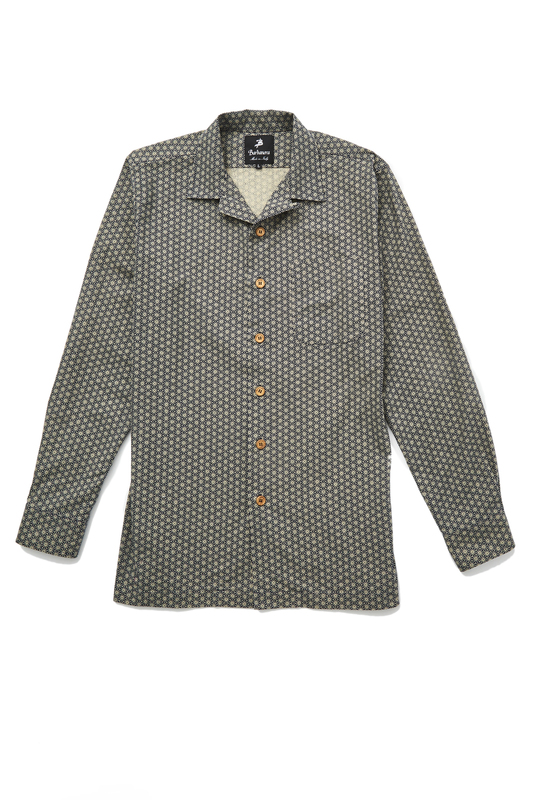 The Burt shirt features camp collar, long sleeves and wood buttons. The fit is a regular/slim one, to give you the right comfort and feeling when you wear it. The Burt shirt is perfect for any summer outfit: jeans, shorts, chinos or jackets and even with linen or solaro suits to give a “twist”, worn with the collar over the jacket lapel for a very strong and cool look.